Everybody has that part of the holidays that they love the most. We love all the parties, the decorating, the music, the shows, the gifting and shopping. One thing that really gets everyone in a festive mood is the holiday food. Who doesn’t love food? All those special treats that only make an appearance at this time of year can be a fast ticket to the holiday spirit. You can inject a bit of Christmas time fun into any get-together by serving up something with all the favorite seasonal flavors. 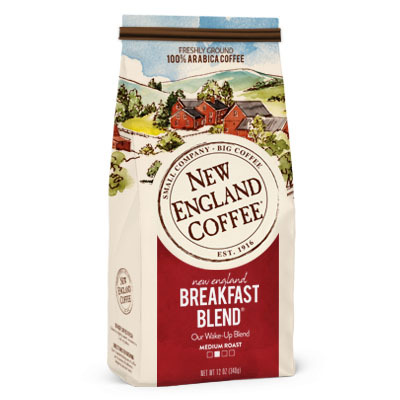 Every great dish needs the perfect drink, and we found some standout recipes that go great with our seasonal New England Coffee blends. New England Coffee has three fabulous blends for this time of year in Eggnog, Mocha Mint and Gingerbread Cookie flavors. Christmas morning is a special time, and once everyone has torn apart the wrapping paper and had a good time with their gifts they will probably have worked up an appetite. Give breakfast a holiday twist by serving everyone gingerbread pancakes. These hotcakes have a bit of kick from a blend of spices and a hint of sweetness. New England Gingerbread Cookie Coffee will play up the spiciness with molasses cookie flavor, sweet ginger and cinnamon notes in our Breakfast Blend of gourmet coffee. If you really want to knock everyone’s socks off, this dessert is a decadent indulgence and festive fabulous-ness all rolled into one. 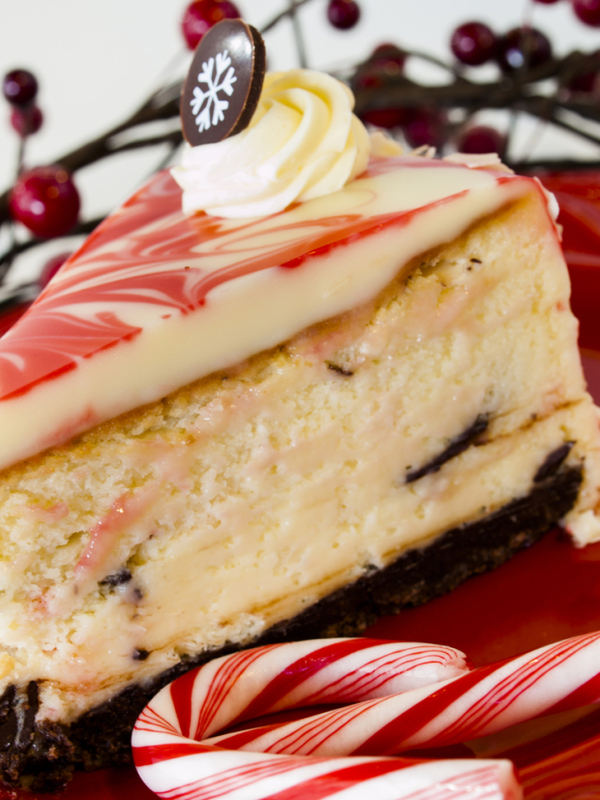 White chocolate cheesecake and peppermint bark are baked into an Oreo cookie crust. One famous restaurant has a very popular version of this, but you can make your own at home. The crumbled bits of peppermint bark make it look as good as it tastes. Sip New England Mocha Mint Coffee between bites. A huge bowl of frothy eggnog is always front and center at holiday parties. It’s a great drink, but why not serve yours with a bit of creativity and sophistication? An eggnog latte is a sweet and creamy treat while the coffee gives it a bit of boldness. It’s the perfect way to cap off an evening or you can enjoy it along with breakfast. Espresso is too strong for many people, but making your latte with New England Eggnog Coffee instead will enhance the creaminess and spice up your drink with a hint of nutmeg. If you decide to slip a bit of bourbon in yours, we won’t judge.